Good price, delivery and service. Thank you. Cured recurring problem in our Chrysler PT Cruiser as a result of a special deal offered over the phone by one of your salesmen. 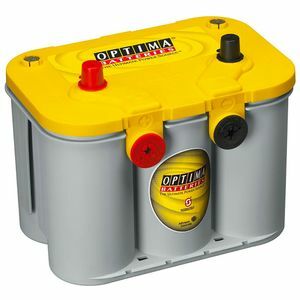 A top quality battery. Just a safety tip. The side posts are much closer together than the top posts, or the side posts on other batteriers. You should use a tool that is insulated when working on this battery!!!!! very good service delivered very quickly. The battery is top notch and exactly what i wanted. Very happy!!! excellent service from start to finish. Battery exactly as described, and no problems as yet. You send me a used battery, I got pictures for people who are interesting on the truth. You're just degusting!!!!!!!!!! The battery was used, the terminals reconditionate. Disgusting.....very disappointed about this company. I send back the item and get the refund. This battery is about the only one in stock in the UK that was correct for my C3 corvette. It arrived well packaged and has solved my issue with the old ACDelco battery I had previously being unable to retain charge during periods of inactivity. Delivered on time and happy with the service! Good product, very fast dispatch and delivery. 10/10!